Keith joined Watsi on August 8th, 2013. 201 other people also joined Watsi on that day! 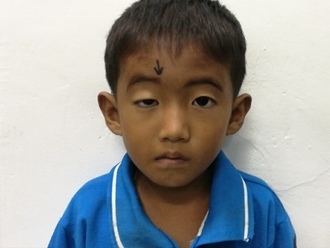 Keith's most recent donation traveled 8,800 miles to support Ratanak, a boy from Cambodia, to fund eye surgery. Keith has funded healthcare for 40 patients in 12 countries. Vaing is a cleaning lady from Cambodia. He has one daughter. She likes to spend time at home and on her farm. 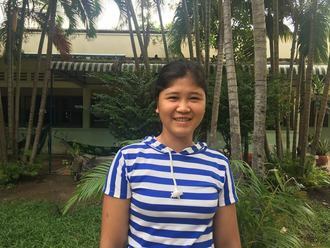 When she was fifteen, Vaing had an ear infection. This infection caused the tympanic membrane, or the ear drum, in her left ear to perforate. For this reason, Vaing experiences tinnitus and hearing loss. She has difficulty hearing and has had a recurrent infection for many years. 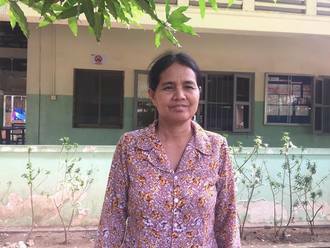 Vaing traveled to our medical partner's care center to receive treatment. On June 11, she will undergo a myringoplasty procedure in her left ear. During this procedure, surgeons will close the perforation. Our medical partner, Children's Surgical Centre, is requesting $423 to fund this procedure. This covers medications, supplies, and inpatient care. She says, "I hope the infection goes away and I can hear clearly again." Naswaiba is a hotel attendant from Uganda. She is a single mother of one child. For two years, Naswaiba has had an umbilical hernia. This is causing her abdominal pain and headache. Fortunately, on May 9, she will undergo hernia repair surgery at our medical partner's care center. 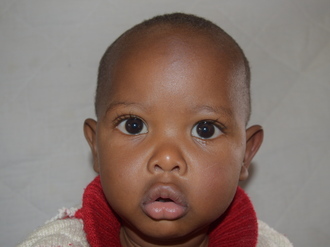 Our medical partner, African Mission Healthcare Foundation, is requesting $249 to fund Naswaiba's surgery. Once completed, this procedure will hopefully allow her to live more comfortably. She says, "After surgery I will be able to do things that I am unable now because of hernia." 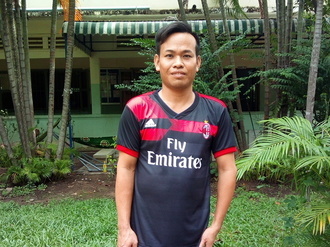 Chandany is a young man from Cambodia. He is an accountant. He has six siblings. He likes to read, watch TV, and relax at home. Chandany has a congenital amputation of his right leg. He experiences pain and has difficulty walking. He needs to undergo a stump revision surgery to make it easier to walk and get rid of his pain. This will improve his quality of life. Surgery is scheduled for June 4. Now, he needs help funding this $327 procedure. 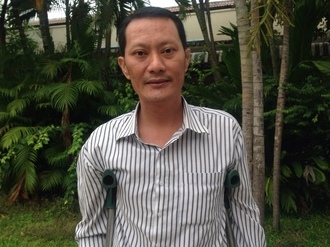 He says, "After surgery I hope I can walk better and without pain so I can return to work."